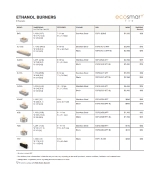 Our diverse collection of bioethanol fireplace inserts are ideal for creating stunning all or cabinetry features or an easy way of converting an existing traditional fireplace into a clean burning bioethanol fireplace. Installation is a breeze with all the clearances built into the design for you. 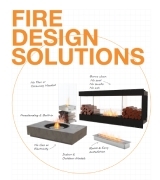 EcoSmart Fire’s extensive range of fireplaces allow you to create a fire design specific to your requirements. 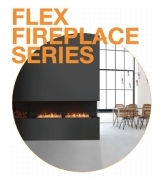 are endless when you use a premium fireplace insert. Intelligently designed for optimum heat output, flame enhancement and safety, our high quality stainless steel fireplace inserts will last a lifetime. 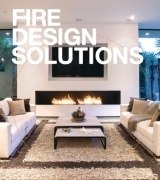 Our fireplaces don’t need a chimney to vent harmful gases as burning liquid bioethanol doesn’t produce any smoke. All the fuel is housed within the self-contained burner so you don’t have to run pipes or cables through your walls. Available in stainless steel with stainless steel burners. Fireplace inserts are completely self-contained, which makes them much simpler to install than gas or wood burning fireplaces. No flashing, roof work or plumbing is required for installation. The pre-drilled holes make fixing the fireplace into position quick and easy - then dress around the fireplace with your chosen finiishing touch. Removable fireplace screen made from low-iron toughened glass.